As part of her residency at Iniva, Alida Rodrigues will be exhibiting and creating site-specific work in the Education Space. Alida Rodrigues as selected by Curator Teresa Cisneros, will be exhibiting and developing work in our education space. Iniva is providing Rodrigues with an open studio to enable a dialogue with visitors and provide an opportunity for her to experiment with her practice. During this time, the public are invited to view both an existing and a developing body of work within the space. “Trees and plants always look like the people they live with, somehow” (Zora Neale Hurston) a quote which has informed Rodrigues’ latest body of work: The Secret History of Plants. 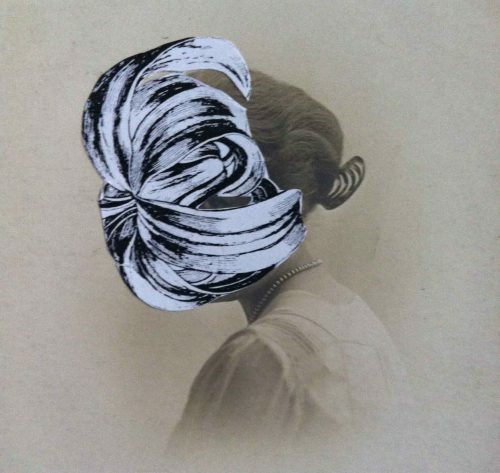 Anthologia, curated by Iniva, is a selection of collages that takes inspiration from botanical etchings and 19th century portraiture. Each work consists of a found black-and-white photographs from the 19th century. These were original ‘postcards’; self-portraits of individuals, couples and families sent to their loved ones as mementoes and communiqués. The faces of some of these anonymous subjects are obscured by botanical illustrations, and named after a plant genus. Playing with tropes of identity, traditional hand-painted photography, history and collage, Rodrigues performs the role of a botanist, painstakingly crafting, cataloguing and naming the specimens in her collection. During her residency Alida will lead a public collage making workshop and will take part in a conversation with ethno-botanist Dr. Ricardo Leizaola of Goldsmith’s College. Buy your Limited Edition Print - 'Banksia' Iniva is delighted to announce a new limited edition print by Alida Rodrigues to accompany her residency and exhibition Anthologia (link) during October 2014.